Why Is It So Difficult to Find A Good Contractor? Posted on June 23, 2014 at 6:42 pm. When you are finally ready to remodel your kitchen, put on a deck, replace your windows or siding, or whatever your home improvement needs might be, the hard part is always finding the right contractor to do the job. Of course personal referrals are still the best, but not always. The person that supplied you with the referral may have loved working with their contractor but they may have different personalities than you and you might find that while the contractor’s work is great, you just don’t get along with them personally. That may not be a big concern if you are doing a job that takes only a few days or a week, but you may not want to hire him or her if you are doing something longer like a kitchen remodel or an addition. The best thing to do is to interview them as you are getting an estimate from them. Honestly, you can probably tell fairly quickly if you are going to mesh or not but, just in case, do some further research as well using third party sources. 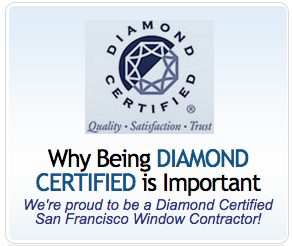 In the San Francisco Bay Area we are lucky to have Diamond Certified in addition to Yelp and Angie’s List to help cross reference and vet your contractor. Also check with the State Contractor’s License Board, your local BBB and any community chat rooms you have in your area. Picking the right materials is important but even the best material will be wasted (along with your hard earned money) if they are not installed correctly. Look beyond the sales pitch, it can save you a lot of heartache in the long run.